Tsuyu (the rainy season) is over in Tokyo. 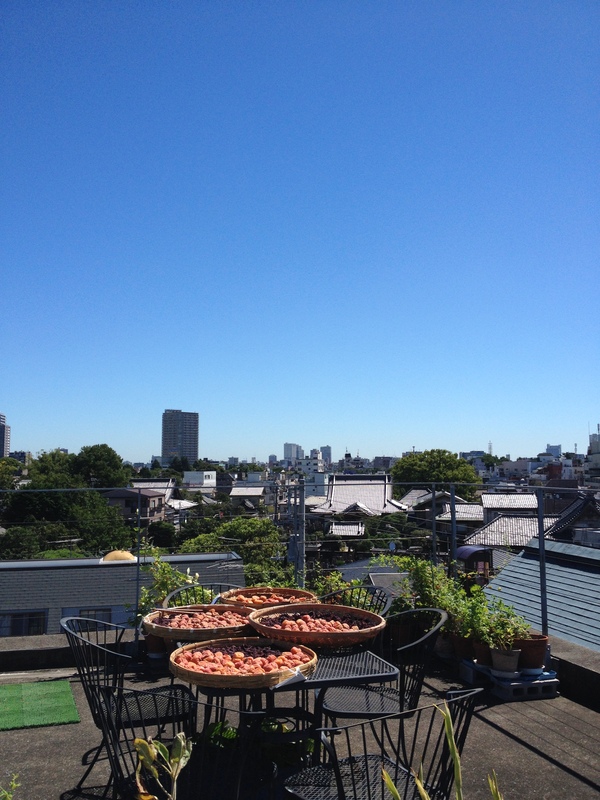 It’s a perfect day for drying plums for umeboshi. 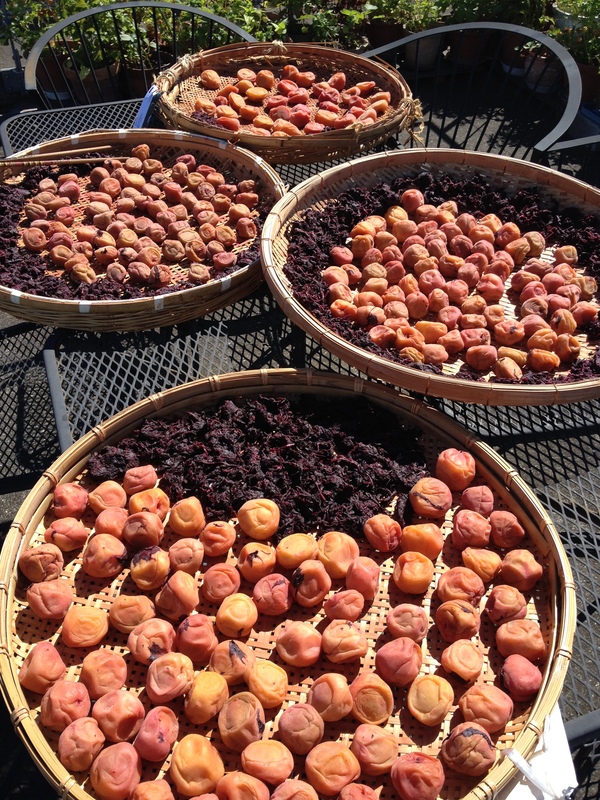 Remove the plums from the jar and place them on a bamboo or plastic basket with a fairly flat bottom (Do not use anything made of metal because it is likely to contain steel, which will rust.) Squeeze out the umezu from the akashiso and place it on the basket, too. 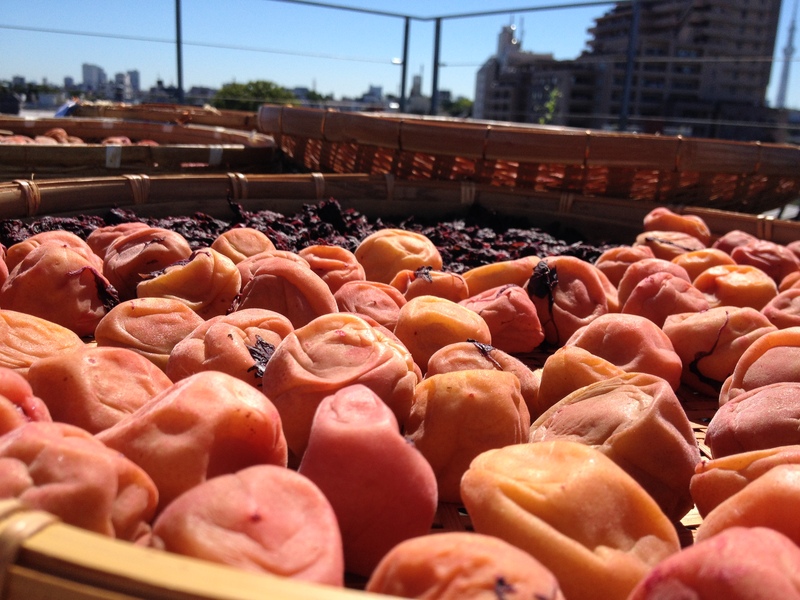 Dry the plums and akashiso under the sun for 4-5 hours a day.